PPP? UTILITY SELL-OFF? 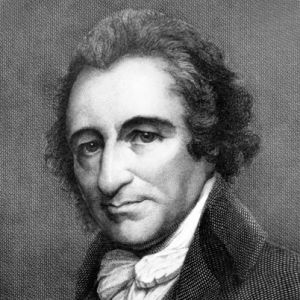 WHERE’S TOM PAINE WHEN YOU NEED HIM? “… I answer not to falsehood or abuse, but proceed to the defects of the English Government. I begin with charters and corporations. It is a perversion of terms to say that a charter gives rights. It operates by a contrary effect – that of taking rights away. Rights are inherently in all the inhabitants; but charters, by annulling those rights, in the majority, leave the right, by exclusion, in the hands of a few. If charters were constructed so as to express in direct terms, “that every inhabitant, who is not a member of a corporation, shall not exercise the right of voting,” such charters would, in the face be charters not of rights, but of exclusion. The effect is the same under the form they now stand; and the only persons on whom they operate are the persons whom they exclude. Those whose rights are guaranteed, by not being taken away, exercise no other rights than as members of the community they are entitled to without a charter; and, therefore, all charters have no other than an indirect negative operation. They do not give rights to A, but they make a difference in favour of A by taking away the right of B, and consequently are instruments of injustice. Previous PostMICHAEL PASCOE SAYS PROPERTY COUNCIL IS WRONG ….Next PostIT’S NOT TURNING OUT WELL, PETER ALLEN!